The Composers Of Doctor Who: Stanley Myers | Warped Factor - Words in the Key of Geek. 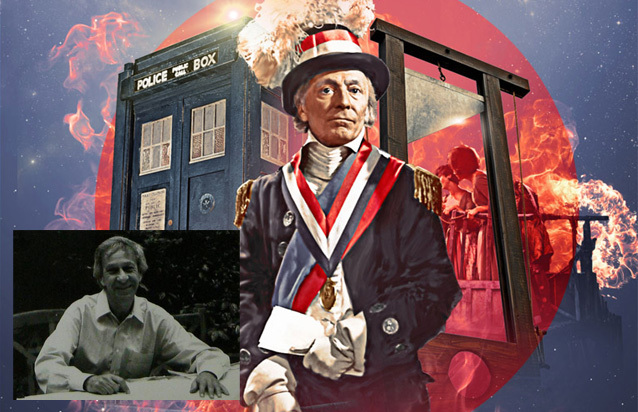 Chris Morley looks at the work of one-time Doctor Who composer Stanley Myers. Another for the one-shot pile in our cabal of Doctor Who composers as we take a look at the man who supplied the music for The Reign Of Terror. ... He also composed music for several cult horror films, including House of Whipcord, Frightmare, and House of Mortal Sin. During the 1980s, Myers worked frequently with director Stephen Frears. His score for Prick Up Your Ears (1987) won him a "Best Artistic Contribution" award at the Cannes Film Festival. He also scored the film Wish You Were Here and several low budget features (Time Traveler, Blind Date, The Wind, Zero Boys) for director Nico Mastorakis, collaborating with Hans Zimmer. Having originally been penned by classical guitarist John Williams as a piano instrumental, Myers, at Williams invitation, had his way with it & took it into the Top Twenty following the release of the film that popularised it. "Stanley Myers loved the movies. He must have composed the score for more than 100 films, both for features and television. He did seven for me, including Heart of Darkness which he finished only a month ago. So many film composers prefer to keep their involvement separate from the film-maker, happy of course to enhance the film, but also rather pleased to have the music-stand on its own in case of a record deal. Myers just wanted to make himself and his music part of the movie." His working method was remarkably hands on, too! He would then sit at the piano and play to the scenes as they ran silently on the television. Stumbling through odd sections, starting over again, sometimes suddenly laughing and saying, 'Oh Lord, that's not right, is it? ', but always thinking only of the film and how his music would help it live and grow." A lack of musical knowledge on the part of the director was no problem, either. "He was extremely generous to people like myself who had no formal musical training. He would genuinely try and find musical phrases from totally untechnical examples of help, such as, 'You know that piece, Stanley, I think it was Greig or was it Bach? It goes, da da di da da . . ."
A slap in the face for those who appear to think that his Reign Of Terror score is simply made up of arrangements of the French national anthem La Marseillaise at different speeds! Even if it is in there somewhere surely it has every right to be? Written in 1792, it was intended as a revolutionary song - a spirit which runs through both of the First Doctor's sojourns the other side of the Channel. (See also The Massacre). "In 1792, following the declaration of war the King to Austria, a French officer stationed in Strasbourg, Rouget de Lisle composed, on the night of April 25 to 26, in Dietrich, the mayor of the city, "battle Hymn of the army of the Rhine." This song is taken by the Federated Marseille participating in the Tuileries insurrection on August 10, 1792. Its success is as declared national song July 14, 1795. Prohibited under the Empire and the Restoration, La Marseillaise was to the fore during the 1830 revolution and Berlioz in developing an orchestration he dedicated to Rouget de Lisle. The Third Republic (1879) makes a national anthem and in 1887 an "official version" was adopted by the Ministry of War after notice of a commission. It is also under the Third Republic, 14 July 1915 the ashes of Rouget de Lisle were transferred to Les Invalides. In September 1944, a circular from the Ministry of Education recommends to sing the Marseillaise in schools to "celebrate our liberation and our martyrs."